There are plenty of them around; but then this is nothing new in terms of gaming. 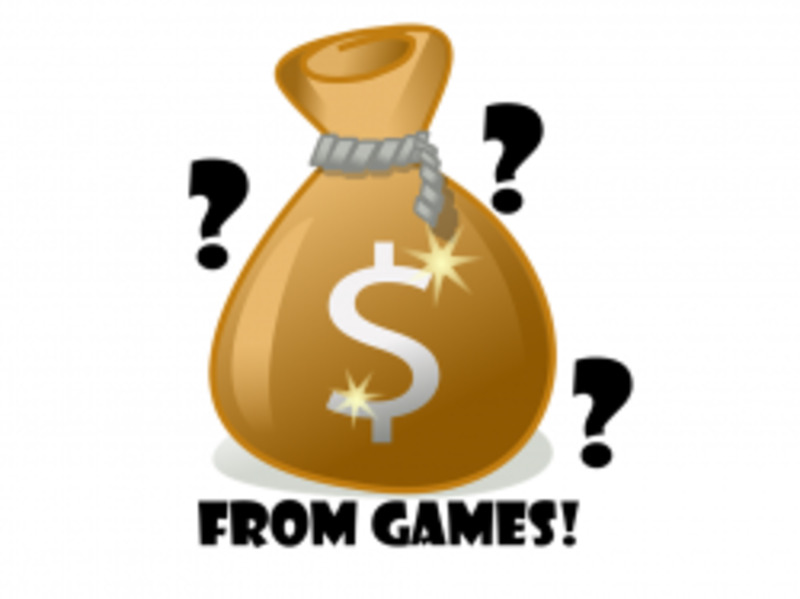 Addictive games have been with us for many years, right from the 8-bit era through to the modern day of games online and other great online gaming resources such as mini-clip games. Here I will be taking a quick look a gaming classics that I return to time and time again as well as more modern efforts that keep me hooked for hours on end. I still play Speedball 2 and enjoy Ice Cream, Ice Cream! Cannon Fodder-War has never been so much fun! First Samurai-Oh No! My Sword! Speedball II-Jams is injured! Give him some ice cream, ice cream! The classic strategy/arcade hybrid from Sensible Software. With it's opening theme music, cartoon style graphics and fantastic gameplay engine this is one game that really does stand the test of time well. One of my favourite ever Amiga games. It has a fantastic opening sequence, a brilliant soundtrack, atmospheric graphics and some of the best in-game sound samples ever used. Playable, addictive and fun - this is a game I still love to this day. But! Beware; as any other game from Raffaele Cecco it is far from easy. Nothing to write home about graphically this game is a great example of how to balance gameplay perfectly. As top-down scrollers go there really aren't many better than this. Any fan of vertical shoot em ups will know what to expect from Hybris; but anyone who has never had the pleasure will not know just how good a game lurks therein. The music will have you tapping your feet long after you've finished playing it too. The Bitmap brothers are legends of gaming. This game is brilliant either playing against the computer or against a friend. Even today the gameplay oozes polish and holds up well to any other 'future sports' type titles. For me it has barely aged at all as far as addictive qualities go. A must play and a true testament to addicting games. A top-down shmup that oozed class back in the day. The thing is, I still find it addictive even now. I can load this up, begin the game and lo and behold... two hours have gone by. A real classic that took gaming in a slightly new direction when it was released. I still find that this plays well almost twenty years on. 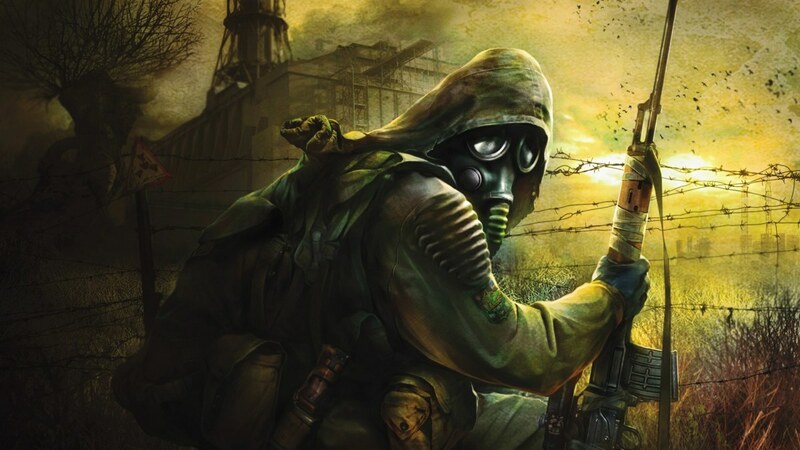 The game is still steeped in dystopian atmosphere, each mission is playable, and THAT flame-thrower is one of the greatest in-game weapons ever. Bullfrogs game is addictive - but be prepared to put a few hours by if you want to get into it properly. The first Uridium game has been a classic title on pretty much every 8-bit machine going. 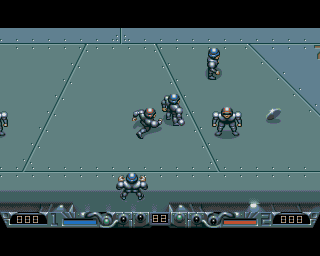 The sequel on the Commodore Amiga really captured the spirit of the first game and updated it excellently. As far as addictive side-scrolling shooters go this is up there with the best of em. Take it from me - it's Uridilliant. There are lots of games that I still play from the 1980's and 1990's, as anyone who follows my hubs and blogs will know! Bombjack was a prime candidate for home conversions - and the effort released by Elite Software was nothing short of brilliant. The gameplay was (and is) sooo simple yet so frenetic that it still plays superbly today. Addictive really is the word. I actually prefer the ZX Spectrum version of this over the arcade original. The main reason it plays better is the way you can move your commando around the screen; here you can accurately take out the enemy soldiers while evading their efforts against you. The game is never an easy ride but you always feel that the balance of play is fair. Play it, you will be surprised at how challenging and addictive it is! Raffaele Cecco does it again with Exolon. I've never actually completed this game - but I do return to it from time to time. It has aged very well and (for me) still holds lasting appeal as well as a fair challenge. I will finish it... one day. The late, great, legendary programmer Jonathan Smith converted this popular arcade game to the humble Spectrum and captured the essence of the original game perfectly. In fact, the game matches up to it's arcade parent so well you can use the same tricks and moves when playing either version. This fact is a testament to Joffa's incredible talent for Z80 programming. Games this playable age nicely, and this is one example that stands the test of time to a tee. A truly great conversion from a fantastic coder, and one that I still play often. Missile Command games appeared on pretty much every 8-bit machine going, but this one on the Spectrum is, for me at least, the best by far on Sinclair's machine. If you like missile command then you cannot go far wrong with this game; it plays superbly and has a suitably 'arcade type' feel to it. This is a game I first played in 1984, and I often fire it up for a quick twenty minute blast. Give it a go and see how long you can last once you reach level nine. It's fast, frenetic, fun and challenging. Ahh Nightgunner - an underrated classic for the ZX Spectrum that was released way back in 1983. Taking the role of a tail gunner and bombardier your task was to defend your Lancaster bomber against incoming fighters and also to bomb ground targets. Simple fun, extremely playable and the tension mounts up as your aircraft takes damage flying to and from the target. Too much damage and your poor plane will plummet to the ground. This game is so playable that I cannot believe we were first treated to it in 1983. For a game released in that year it is very polished indeed. Check out that 'deflection' shooting that the game implements as you track those targets with your gunsight, it is very impressive! WOTEF (as it became known) is the first 'proper' beat em up game for an 8-bit machine. We had been treated to earlier efforts (such as Bug Bytes 'Kung Fu') but this is where the genre really took off. With lots of moves to execute, nicely animated fighters, scenic backdrops to kick and punch your way through this game from Melbourne House is a genuine classic. It really raised the bar and brought a whole new genre to the home gamer. In spite of my love of all things retro - I do play more modern games too! Angry Birds - who hasn't played this phenomenon? 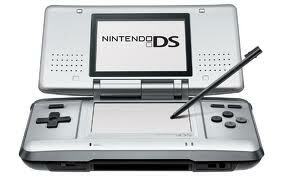 Even I play the DS! Aliens: Infestation was released in October 2011 for the Nintendo DS, and this game really plays to the consoles strength. What hits the spot for me is the fact that the developers have really paid due respect to the source material; It captures the atmosphere of the Aliens movie down to tee. The latest gaming craze to sweep the globe! The 'angry birds' characters are in danger of saturating the market - but for me the original Angry Birds was (and still is) brilliant and addictive fun. I play this a lot on Android if I fancy a quick 'pick up and play' whenever I have a spare ten minutes. 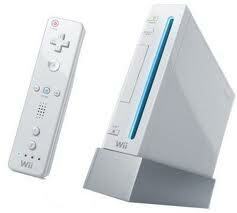 Even I play the Wii! Punch out is an age old arcade game that has had many incarnations on many home computers and consoles over the years. Such is the longevity of the game that it is still going strong today, and the Wii version (released in 2009) is a great modern take on this classic game. The Wii is the perfect console to play this game on and it has the right blend of action and humour to keep you coming back for more. I still play it - as a two player experience it is pure gaming joy! 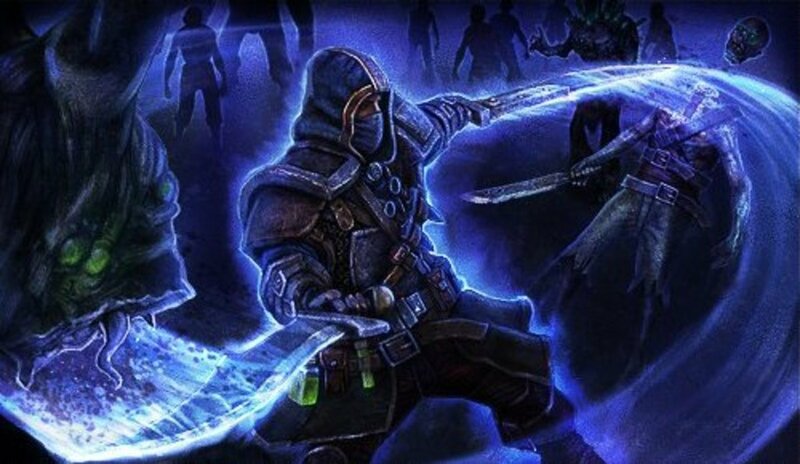 Any Games You Return To Again and Again?